Well located end unit w/views being sold by the estate of the original owner. Sun room off master bedroom was built by the developer during original construction. Kitchen with eating space, deck accessible from sun room & living room, living room with fireplace & vaulted ceilings 2 steps up from entry, hardwood floors, built-ins, attic & storage space, 2 car garage, large walk-in closets in both bedrooms, community pool & tennis court + MORE! Kitchen Breakfast Area Dishwasher Incl. Electric Range Incl. Microwave Incl. Refrigerator Incl. 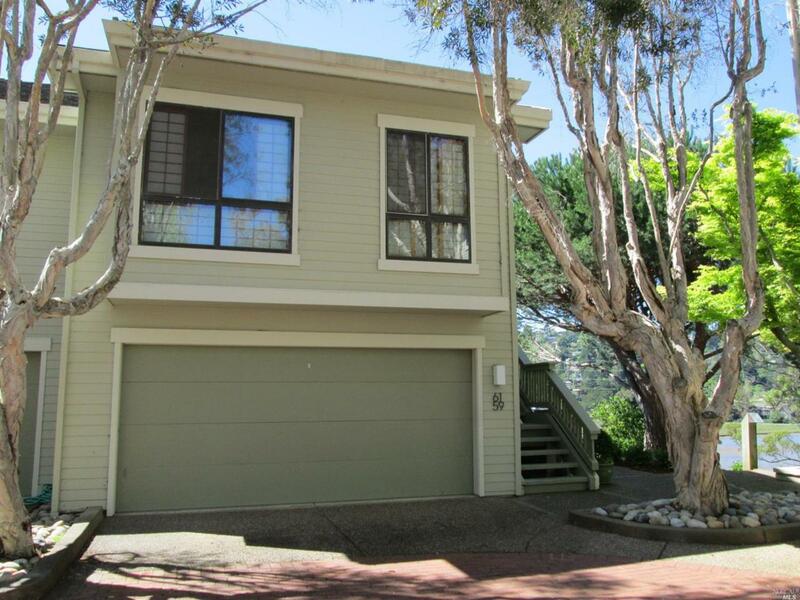 Listing courtesy of Mary Kay Yamamoto of Re/Max Of Central Marin. Attached Detached Home Attached Construction Type Wood Frame Drive Sidewalk Paved Drive Exterior Wood Siding Garage Parking 2 CarGarageAttachedAuto DoorSide By SideGuest Accommodations Location Of Unit End UnitUnit Below Lot Description Level Other Structures None Pool Yes Pool Type Comm FacilityIn Ground Public Transportation 3 Blocks Spa Hot Tub YN Yes Style Contemporary Views GreenbeltHillsParkWater Yard Grounds Landscaped- Misc.